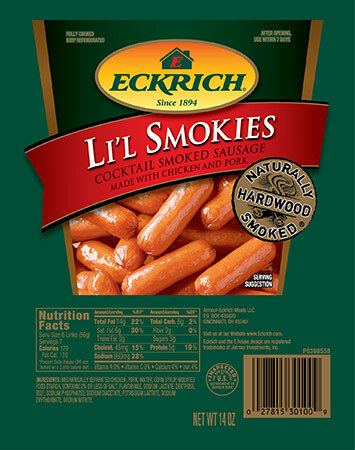 Li’l Smokies Cocktail Smoked Sausage are a must-have for parties and gatherings. 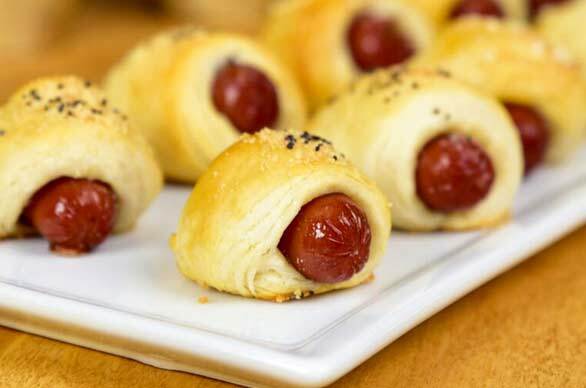 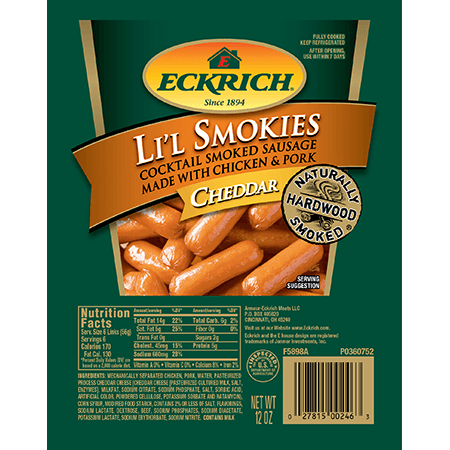 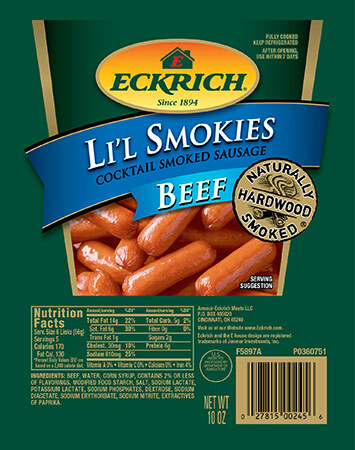 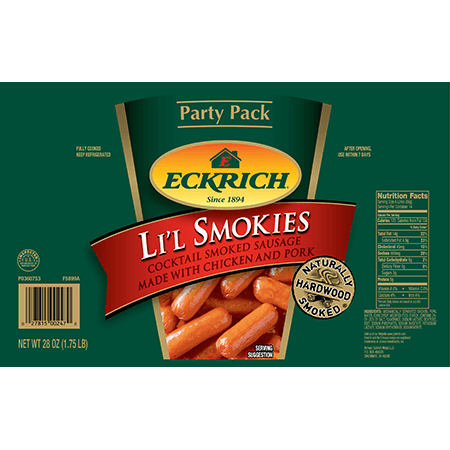 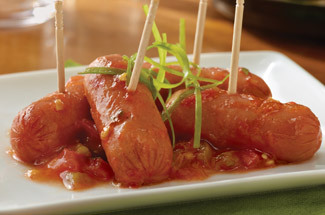 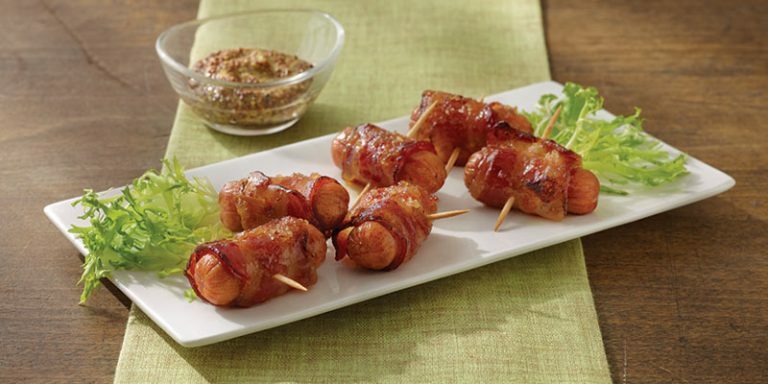 Our Beef Li’l Smokies are perfect for crowd-pleasing appetizers and snacks. 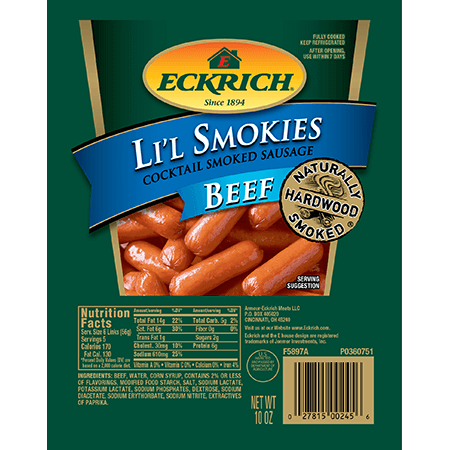 Ingredients: BEEF, WATER, CORN SYRUP CONTAINS 2% OR LESS OF FLAVORINGS, MODIFIED FOOD STARCH, SALT, SODIUM LACTATE, POTASSIUM LACTATE, SODIUM PHOSPHATES, DEXTROSE, SODIUM DIACETATE, SODIUM ERYTHORBATE, SODIUM NITRITE, EXTRACTIVES OF PAPRIKA.